May 2, 2012 – Appcelerator®, the leading next-generation mobile platform company, today announced that it has been positioned by premier research and advisory firm Gartner Inc. in the Visionary Quadrant of its “Magic Quadrant for Mobile Application Development Platforms” (MADP) report, published April 26, 2012. The report analyzed 22 mobile platforms that enable enterprises to build, support and manage mobile applications for both customers and employees. Adopting a mobile strategy has become a top concern for enterprises. Gartner’s 2012 CIO Survey reported 61% plan to enhance mobility capabilities during the next three years and 48% believe they will become leaders in their industries by fully adopting innovative mobility solutions. In this new report, Gartner states that in 2011, 40% of enterprise application developers were still targeting native first for a variety of reasons (such as performance and disconnected mode). By 2015, 80% of all mobile applications developed will be hybrid or mobile-Web-oriented. MADPs are chosen based on the capabilities they bring in supporting one or more of these modes. “We are honored to receive Gartner’s recognition and placement of Appcelerator in the visionary quadrant. From the onset, we developed Titanium to be open and fully extensible so it could support a range of application architectures and platforms. We will continue this commitment as it squarely addresses market and developer requirements,” said Jeff Haynie, CEO, Appcelerator. Appcelerator’s flagship platform, Titanium, is used by more than 300,000 mobile developers, powering over 40,000 applications across millions of mobile devices. Titanium is used by enterprises with requirements for multi-OS application development and web-based skill sets. Appcelerator’s platform delivers write-once capabilities that support a range of mobile application architectures across multiple device/OS types, exposing the native capabilities of each device; features rapid development cycles; leverages an enterprise's existing web skills; is fully extensible; and allows customers to build native, hybrid or HTML5 mobile web applications. As part of its most recently released Titanium 2.0, Appcelerator Cloud Services (ACS) was launched to drastically simplify the process of integrating a broad range of cloud services into mobile apps – not only for Titanium developers but any native or mobile web developer wanting to create, configure and deploy rich, cloud-connected applications. For more information on the distinct and evolving MADP market, please visit http://www.gartner.com to get the full copy of the Gartner Magic Quadrant for Mobile Application Development Platforms, 2012 Update. Appcelerator’s Titanium is the leading mobile platform of choice for thousands of companies seizing the mobile opportunity. With more than 40,000 applications deployed on 50 million devices, Appcelerator's award-winning Titanium Platform leverages over 5,000 mobile device and operating system APIs to create native iOS, Android, and HTML5 mobile web apps. Customers who standardize on the Titanium Platform get to market 70% faster and can quickly optimize business results with analytics-driven insights into user behavior and app performance. Open and fully extensible, Titanium makes it easy to integrate data, content and services from a variety of sources into mobile applications to leverage best-of-breed capabilities. Appcelerator Cloud Services (ACS) provides instant social, location, communication and content features for user-centric mobility. 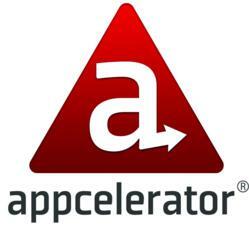 Appcelerator’s worldwide ecosystem includes 300,000 mobile developers and hundreds of ISVs and integration partners. Please visit http://www.appcelerator.com.